The Trans-Pacific Partnership (TPP) Agreement was signed on 4 February 2016. It aims to establish a more seamless trade and investment environment through commonly-agreed rules and the promotion of transparent laws and regulations, providing greater certainty for businesses, reducing costs and red tape, and facilitating participation in regional supply chains. 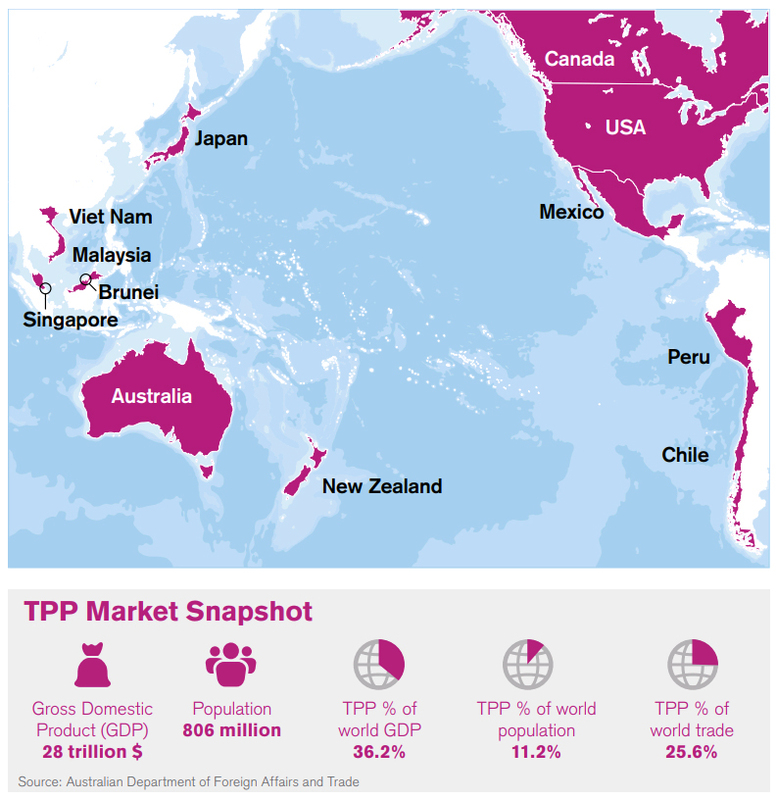 The TPP is the first of the so-called ‘mega-regional’ free trade agreements (FTAs), a term which refers to deep integration between countries, or regions with a major share of world trade and foreign direct investment (FDI). The 12 Parties to the Agreement are Australia, Brunei Darussalam, Canada, Chile, Japan, Mexico, Malaysia, New Zealand, Peru, Singapore, United States of America, and Viet Nam. The WCO issued a first analysis of the main features of the origin provisions contained in the TPP Agreement back in December 2015 (see http://www.wcoomd.org/en/topics/origin/activities-and-programmes/preferential-origin.aspx). It is now about to publish a detailed analysis of the TPP rules of origin and a comparison between the new agreement and existing origin models as part of the WCO Comparative Study on Preferential Rules of Origin. This new section of the Study will be available in July 2016. Rules of origin are important legal instruments for the application of preferential trade agreements. But, with the proliferation of these agreements comes a plethora of divergent and often overlapping preferential rules of origin, a situation which presents challenges, both to the business community and the authorities implementing origin legislation. Thus, enhancing overall understanding of preferential rules of origin is the main aim of the WCO Comparative Study. The section of the WCO Comparative Study dealing with the TPP explains and analyses some special features contained in the Agreement, such as full cumulation, provisions on regional value content, including the new ‘focused value method,’ remanufactured goods, the provision on the updating of the rules of origin to reflect amendments to the Harmonized System (HS), as well as the specific chapter on textile and apparel goods. Recurrent themes apply to virtually all existing models on rules of origin legislation. The comparison between the different agreements contained in the WCO Comparative Study is made at a topic level – certification of origin, advance rulings, concept of originating goods or cumulation, for example. Any questions, comments or enquiries on the WCO Comparative Study should be addressed to the WCO Secretariat’s Origin Sub-Directorate.